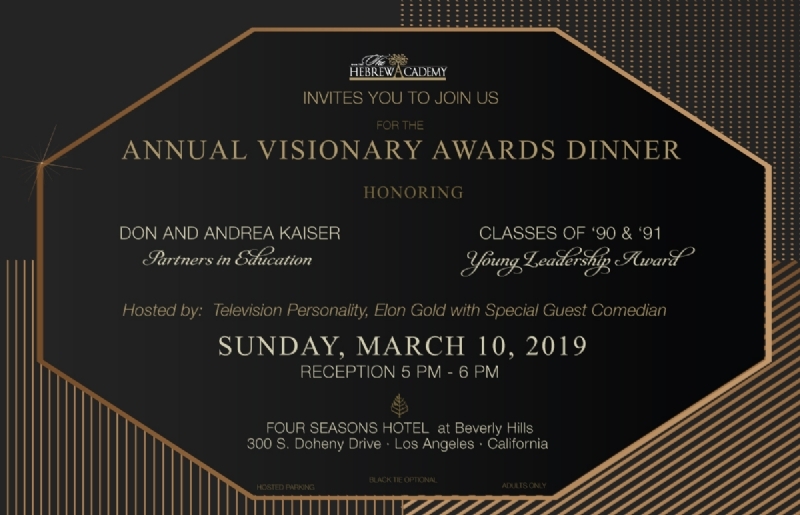 The Hebrew Academy is proud to announce that our annual Visionary Dinner will take place this year on Sunday, March 10, 2019 at the magnificent Four Seasons Hotel in Beverly Hills. We are honoring two very special people who value the vital importance of Jewish education. They are Don and Andrea Kaiser, who will be receiving the Partners in Education award. 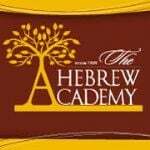 We will also have our Hebrew Alumni, which will represent the graduating class of 1990-1991 and receive the Young Leadership Award for their accomplishments in the community. The enjoyable evening will again be hosted by television personality Elon Gold with a special guest entertainer. The Visionary Dinner is the Hebrew Academy’s major fundraising event and the signature evening of the year. The event celebrates Jewish education and the continued accomplishments of the Hebrew Academy that serves over a thousand youngsters annually. The funds that are raised benefit the school’s scholarship fund, insuring that all children, regardless of their background, will have access to the exemplary educational and social programs that the organization offers. Over a million dollars is distributed annually through the scholarship fund. The evening opens with appetizers and wine tasting in a stunning courtyard of the Four Seasons followed by a spectacular Four Seasons style dinner leading to awards, entertainment, and the pleasure of the Hebrew Academy’s young choir! We look forward to greeting you on Sunday March 10, 2019 to celebrate together.